AI will decimate the professions. That’s the big idea that’s being debated by economists. In the same way that agricultural jobs were wiped out by mechanisation, working-class manufacturing jobs by robots and typing pools by word processors; so professions, such as managers, lawyers, doctors, journalists, architects and accountants and so on, will be wiped out by smart software. Content was crowdsourced and is now being produced in many languages by people in those linguistic cultures. This was the converse of the ‘paid expert’ publishing model. The publishers with their paper print and expensive distribution were simply cut out, as the content was available online with almost no creation and distribution costs. As well as democratising the creation and editing process, access is free and democratic access to knowledge is available to anyone with an internet connection, on any device. Knowledge was seen as corrigible and open to dispute through discussion, moderated creation and editing. Knowledge was no longer fixed and in the domain of experts only. This is an important, and often overlooked phenomenon and explains why educators and academics are often the most vociferous opponents of Wikipedia. So let’s apply these four rules to the law. How will the law, and lawyers, be affected by AI and technology? Here are seven areas where the legal profession is already under pressure. Repositories of legal documents give direct access by consumers, businesses and organisations to legal templates and documents. It disintermediates and cuts out the need for warm bodied lawyers at this basic level. For example, Docracy provides free, open legal documents. You can even customise and sign these documents with electronic signatures. Their catchphrase is ‘legal for the people’ which says a lot about the process of disintermediation, democratization and demystification. A step up from repositories of documents, are fully functional template services for shared access and the writing of legal documents. The idea is that the various parties can build upon a contract until complete, cutting down the need for expensive legal advice and/or lawyers. ContractExpress provides a Microsoft Word interface to allow specific client details to be added, amended, noted and deleted. This makes the whole process of contract build that much more efficient. What is interesting is the way that intelligence is creeping into this process, to help increase speed, accuracy and lower costs. The profession has been opened up to non-legal entities, such as businesses, charities and other entities. This is where the legal process is being decentralised across a much wider set of players. Businesses, charities and non-qualified people are now, in many countries, allowed to play in the legal domain. 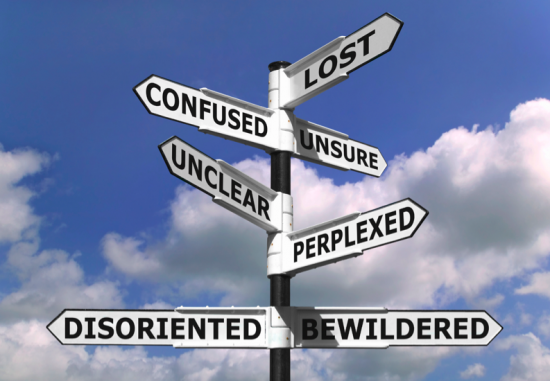 This has resulted in a huge range of alternative sources for advice and help. Rather than the hideous pro bono system, which was largely a PR exercise, organisations such as Citizens’ Advice have long provided free legal advice and services for the poor and this type pf service is growing. Even in the commercial sector, expert businesses, such as the AA, provide services that used to be provided by law firms. This has been accelerated by the use of online access to such services. A legal process can be a long drawn out affair; of get the facts, collect stuff from lots of different sources, then pay top dollar for someone to collate and reason using these facts to reach a conclusion and provide advice (often vaguer than you expected). You then have to execute that advice. There are few processes in life more frustrating and often scrappy than a legal process. It is ripe for automation. Neota Logic provide a workflow platform that does all of this, automating as much as possible. It asks specific questions, gets answers; collects from people, databases and the web; and here’s the rub, using a reasoning engine it provides advice, and can then execute the recommendation through screen, document or emails. Disputation (and its prevention) is the cardinal driver of legal services and costs. Online services are now available that offer online resolution in divorces and other types of claims. The idea is to keep disputes out of the lengthy and costly system of lawyers and courts. By avoiding lawyers and the courts, companies like Modria, deal with dispute resolution through straight disintermediation. Modria has a fairness engine that focuses on customer issues for commercial companies and has resolved more than 400 million cases for companies like PayPal and eBay. This lowers costs dramatically. Lawyers are in the judgement business and like many other professionals, are now subject to consumer judgement. Reputation systems such as AVVO disintermediate and demystify the law, as well as act as a filter for consumers looking for lawyers. AVVO is an online service that uses an algorithm to apply ratings. It has over 200,000 lawyers and a database of millions of questions and has become the de facto standard for reputation judgements in the legal profession. As a lead in, it offer free 15 minute sessions and free answers to submitted questions. Legal judgements by very expensive human lawyers are under attack from software that uses smart algorithms, reasoning and probability software to determine outcomes. The process of capturing these processes is underway with the likes of LEX MACHINA, and will get better and better. LEX MACHINA came out of a collaboration between the law and computer science departments at Stanford and delivers free data and advice on risk to academics, court and non-profits from its analytics engine. It collects large amounts of data and makes it available and searchable. This means that that for cases on patents, trademarks, antitrust and copyright, it can predict potential outcomes. In ‘due diligence’, machine intelligence systems, such as Kira, promise speed and accuracy beyond that of a human lawyer. This is of huge benefit in M&A activity. eBrevia is a similar system with a diligence engine that completes as much as it can before the lawyers complete the rest of the process. This is the area that most threatens traditional legal practice and jobs, as the human intelligence we used to pay for, is replaced by machine intelligence (to a degree). Let’s revisit our four main criteria for our hypothesis, that the legal profession is under pressure in terms of employment, from technology. All four are already at work and have already led to an overall loss of jobs. Note that the total number of jobs in the legal sphere is certainly reduced with technology but this is a complex equation, as some jobs are lost but new jobs created. However, it is not a zero-sum game. Fewer new jobs are created, as they handle services on scale. The net results is a large reduction in jobs. Lest we think this is a bad thing, consider the redistribution of wealth from the expensive class of lawyers back into the pockets of the people who used to pay for these services. This particular profession relied for too long on mystifying their domain through abstruse language and ritual, charging for (often poor) document control and updates, keeping centralised control through expensive accreditation and services, refusing to lower costs through efficiencies of delivery and establishing a cartel that charged by the hour, for often menial tasks. The process of decentralisation, disintermediation, democratisation and, in my view the most important of all - demystification, is now well underway. AI will free our hands & minds – end of the road for driving? Clay Shirky’s incisive book Cognitive Surplus showed that, despite great progress in the 20th C, most children and adults were staring at a TV for most of their lives - 20 hours a week, totalling one trillion hours per annum. This 50-year aberration made us less happy, pushing us more towards material satisfaction than social satisfaction. Year on year we spent more time in this “vast wasteland” in this unbalanced medium of passive consumption, that “immobilizes even moderately attentive users, freezing them on chairs and couches”. It became a medium of ‘social surrogacy’ replacing time spent with family and friends with imaginary friends. Shirky then posed a fascinating question. What if even some of that cognitive effort and time were put to better use? Shirky’s cardinal argument is that this passive ‘cognitive surplus’, squandered on passive consumption, could be bountiful. For example, one year of US TV watching is the equivalent of 2000 Wikipedias. 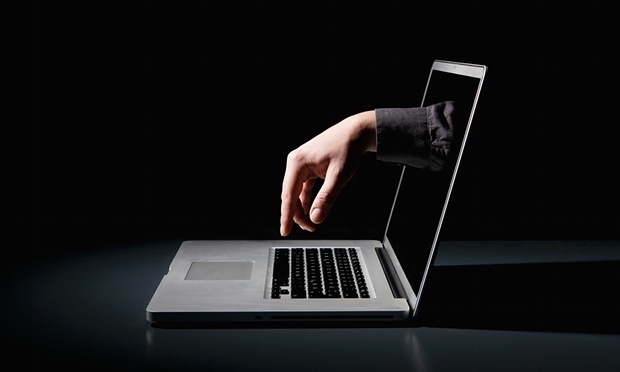 In practice, the internet has allowed us to ‘make and share’, with sharing being the driver. We produce rather than just consume and, I’m with Shirky when he says that “the stupidest possible creative act is still a creative act”. It’s Shirky’s belief that “It’s in our nature to interact – we enjoy it.”Being part of the web is being part of a global network and the numbers matter. More is better as we can harness this global cognitive surplus to create a new future that is less passive. It is a matter not of using it up but using it constructively through broad experimentation. He compares the web with the print and telephone revolution, in that it results not in a monoculture but increased and unpredictable forms of communication arguing for “as much chaos as we can stand". Shirky has been right, TV among the young has been falling year on year for the last ten years, as they drift towards the highly participatory culture of the web, through second screens, social media, games, streamed media and smartphones. This cultural shift is well underway and irreversible. They have abandoned passive watching for reading, writing, photography, video and sharing in social environments. But there’s another 21st C phenomenon that. like TV, gets us to stare at it for hours on end – the road. it’s an astonishing 290,000 and China tops the league with nearly 300,000 deaths per annum. The total is approaching 1.5 million deaths a year. Stopping this carnage is reason enough for self-driving cars. But that is not my target. My target is time. The average American will drive a car for 4.3 years. In that time, they cover enough distance to go to the moon and back 3 times. The self driving car, at first hybrids that allow you to do other things while on the motorway or predictable journeys, will free up tons of cognitive time for commuters and people who spend many long hours on the road. This will evolve within the 20th C into truly autonomous cars that drive themselves. Every major car company in the world knows that this is coming and models, such as the Tesla and Nissan Leaf are commercially available. Google and other tech companies are also providing the AI, especially machine intelligence, to make this happen. Isn’t it interesting that, according to the University of Michigan, the number of US 17 year olds with a driving licence fell from 69% in 1983 to 50% in 2011. In the UK the numbers of young people applying for licences 17-24 has been falling steadily since 2009, from 788,246 in 2007 to 628,243 in 2014. Among the several explanations for this, is the rise of the internet. The explosion of communication has lessened the need for physical contact. Indeed, driving prevents you from being in the flow, as you can’t be online (legally) when you drive. Young people also choose to spend their money on small, electronic shiny devices, like smartphones, rather than large, hugely expensive, shiny, mechanical cars, which they may see as environmentally unsound. On top of this costs have soared, especially for fuel and insanely priced insurance. This caught my attention, as I’ve never driven a car in my life and never will. Don’t get me wrong it’s been more happenstance than moral stance. I’m not on some moral high horse here, just never got round to it, as I was too busy doing other stuff. I never really saw the point of staring at a road for hours on end, when I could be doing things I really wanted to do. Besides, I’ve largely lived in cities, like Edinburgh, London and Brighton, where cars are almost redundant. I’ve never really been stuck, in terms of getting anywhere, with just two exceptions; when I was a student on an isolated campus University in New Hampshire, in the US, and when I worked in Los Angeles. Other than that, my familiarity with and love of public transport, has got me to some pretty obscure places around the world. I’m a mobile learner. In fact, I’d say that of all the learning experiences in my life, m-learning has been the most productive. How so? Learning is a habit and I’ve habitually learnt on the move, largely in what Marc Auge calls ‘non-places’ – trains, planes, automobiles, buses, hotels, airports, stations; non-spaces, in transit to somewhere else. I’m never without a book, magazine, mobile device and most importantly, laptop for learning. M-learning has become my dominant form of informal learning. By luck this has literally given me years of time to read and learn in the isolated and comfortable surroundings of buses, trains and planes. I actually look forward to travel, as I know I’ll be able to read and think, even write in peace. Being locked away, uninterrupted in a comfortable environment is exactly what I need in terms of attention and reflection. I calculate that over the last 40 years of not driving, I’ve given myself about 20 days a year study time, totaling 800 days, so I’ve had well over two years of continuous learning. If you redefine m-learning, as learning on the move, and get away from the idea that it’s just content delivered via mobiles, it becomes an important part of the learning landscape. The death of the car may allow us to lead more productive lives, freeing us from the slavery of staring at a road for years, while turning a wheel. I get the idea that driving is a pleasure in itself but I’d like people to have the choice. VRT (Virtual Reality Therapy) takes the unique affordances of VR and applies them to both physical and psychiatric problems. As you can place the patient in any constructed or represented world, and they really do feel as if they are in that world, you can do things with the mind that are literally mind-blowing. There are already projects looking at a range of disorders such as depression, dementia, PTSD, phobias, ADHT and autism. 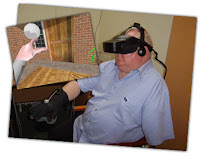 Physically, VR also gives you the ability to create environments where you can enable rehabilitation through exercise and prescribed movement, such as stroke rehabilitation and enhanced experienced for the physically disabled. We are only just starting to see the possibilities of VR in the treatment of a range of therapeutic areas. Take a look at any number of videos and you will see that VR is an immediate mood enhancer. Changes in consciousness and mood go from zero to sixty in seconds. As the emotional impact is instantaneous and powerful, negative emotions can be halted. As a way of changing consciousness, without pharmaceutical intervention, it has promise. Controlled interventions, along the lines of CBT therapy may also be possible. Post Traumatic Stress Disorder hasalready been treated using VR techniques at the University of California. 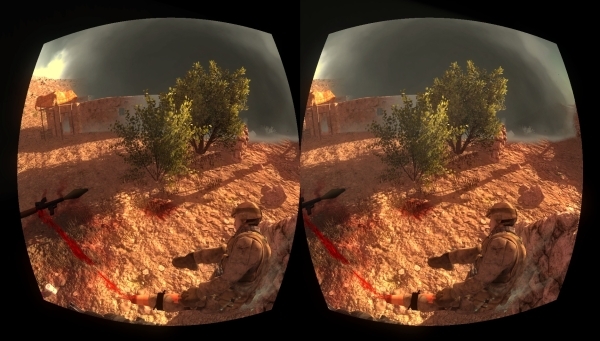 The patient receives 'exposure therapy', in carefully delivered doses, through realistic VR sims, whether it’s an ambush, IED attack or other traumatic wartime experience. With fear of flying (Aerophobia) the whole flying experience can be realistically simulated, with the passenger sitting in the seat of what feels to them like a real aircraft, with the real sounds of engines on take-off, all at low cost. Arachnaphobia? Claustrophobia? Agoraphobia can be dealt with by allowing the sufferer to gradually experience outside and social environments. Almost all other types of fears and phobias can be dealt with by creating a safe exposure environment. I'm also curious about its possibibilities in the prevention of smoking, through hypnotherapy at a distance. 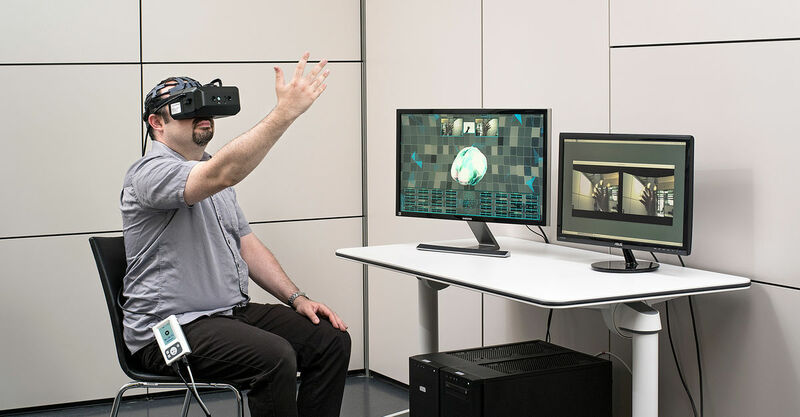 VR has been used to increase arm strength in stroke victims, where repeated exercise using VR games replaced, sometimes tedious, repetitive exercises. The idea is to retrain the brain to adopt new motor skills to handle the damage that the stroke caused. There are huge possibilities in rehabilitation therapy, not only for strokes but other forms of bran and physical damage. Patients with recent amputations can reduce phantom limb pain or acclimatise through phantom limb treatment (you see the phantom limb) to cope with their new body shape and adjust their own body models. Viennese researchers are also using VR to train people with their new prosthetics. 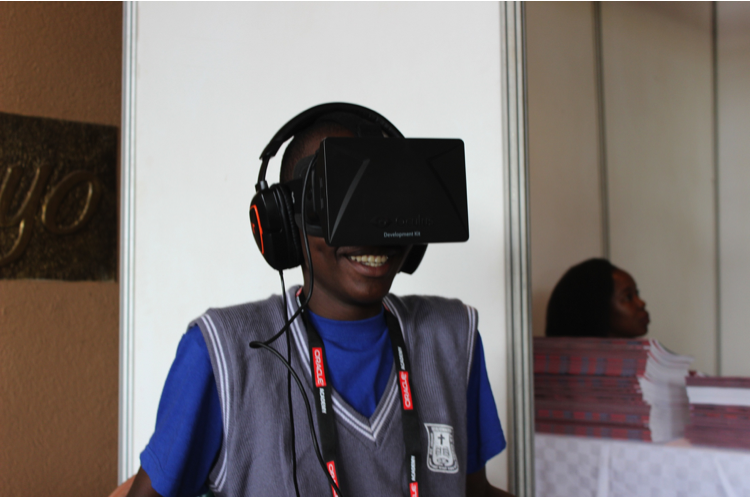 When in Kampala, Uganda, I had an experience that opened my eyes up to the possibility of using VR with people who have serious physical disabilities. A lad with cerebral palsy, who couldn’t walk, did a bungee jump, tried a rollercoaster and squealed with delight, just like his friends. Giving the physically disabled, wonderful life experiences that would be difficult in the real world in an interesting avenue. 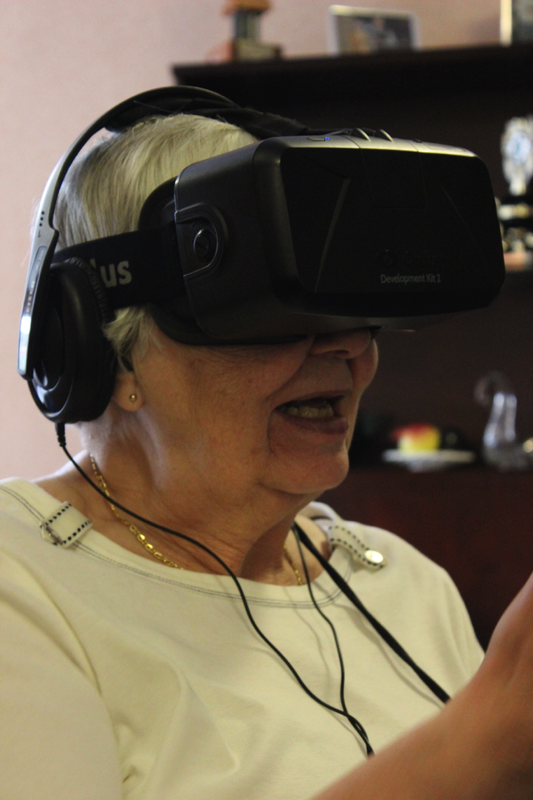 While demonstrating VR in a residential home, with elderly residents, it was interesting to note their reactions, which was to take them, in a sense, back to a time when they had vivid experiences. As a form of therapy for the dullness of aging, it has possibilities. Similarly, with patients who have dementia or Alzheimer’s, where they can experience alternatives to the trapped realities of their conditions. 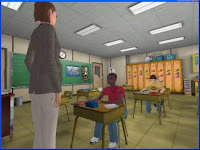 A virtual classroom has been created to track, when and why children with ADHT start to lose attention. In addition to attentional tests, the therapy can be used to increase attentional skills. If we reverse this, classroom behavior techniques can be taught to teachers. Indeed, the ability of VR to hold absolute attention is one of its great advantages. Northwestern University and Yale (study here) have been looking at the use of VR in autism. Autistic children may find social interaction difficult, as they have trouble reading social cues. Many social and real-world skills could be taught in safe VR environments. It has been found that autistic children take readily to the technology. Hospitalised patients, prisoners and many other groups, have a great deal of difficulty adjusting to the real world on release. 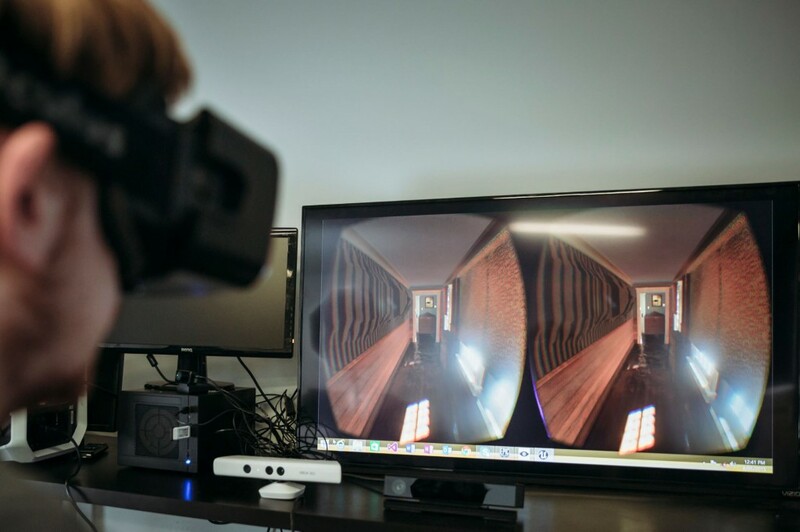 VR can bridge that transition, prior to release, with structured, real world experiences. Note that this is true of many other transitional experiences - school to university, school to work, refugees in new country, unemployment to work and so on. VRE (Virtual Reality Education) has potential for everyone from care workers to consultants. I can’t think of a single healthcare professional who doesn’t need to learn practical tasks, quickly and cheaply, with the full measurement of competences. I’ve been involved in one project that is designed to train care workers in residential care homes. Others have been looking at applications across the board, simulating visual disabilities, even the simulation of dementia for healthcare professionals to understand patient perspectives. This flip of perspective, to experience the patients’ conditions is immediately possible. Researchers at Swinburne University in Australia have been experimenting with a Virtual Dementia Simulator, where healthcare professionals can have an approximate experience dementia. This is often simulated by giving cognitive overload, or blurred images. In the care simulator I was involved with, the carer or healthcare professional sees blurred images. You learn to repeat your name as you enter a room. They may have seen you many times but forgotten your name or see you as a blurred image. 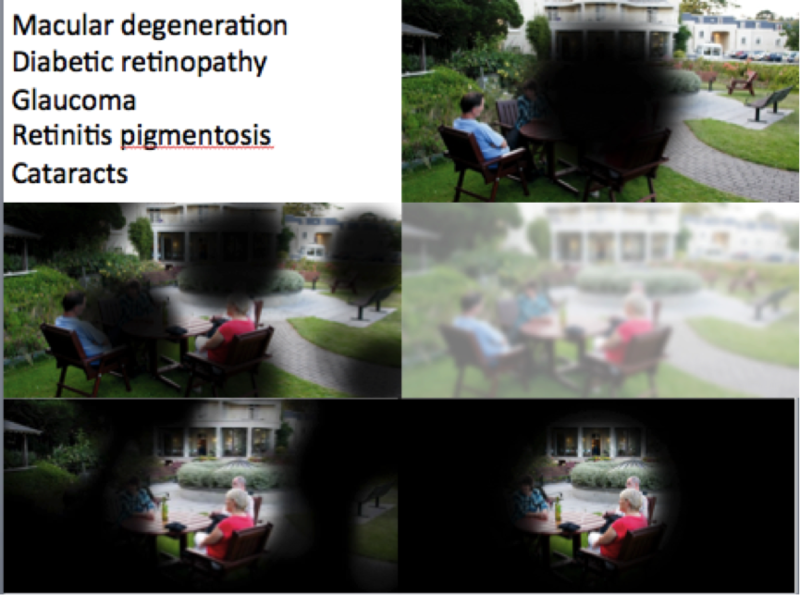 The Australian researchers have altered reality with blurred images and distorted reality. Care workers are often on minimal wages and receive largely inadequate training. They are often ill-equipped to deal with the many problems that age brings. The University for industry commissioned a simulation, based on carer competences that measure what the trainee carer actually does. The idea of learning by ‘doing’ to a set of actual competences could dramatically reduce the cost and at the same time increasing efficacy and performance. 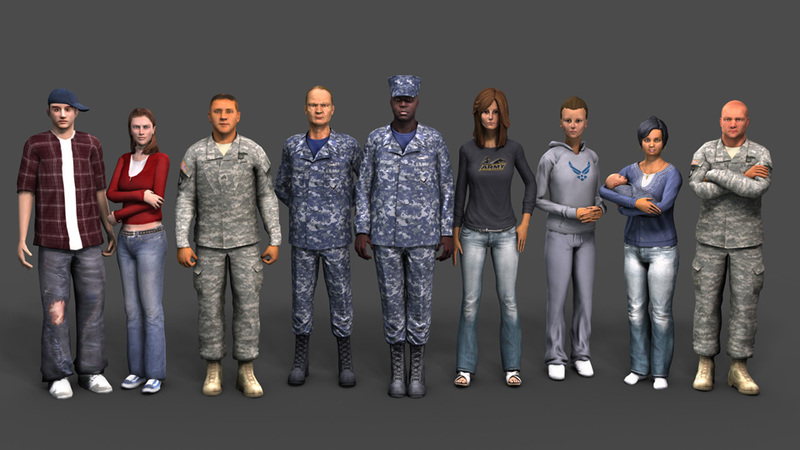 Virtual patients present as avatars in VR. They can have varied genetic backgrounds, symptoms as well as being variable in age, ethnic background and so on. Virtual patients have been around in medical training for some time, this makes them the real 3D deal. 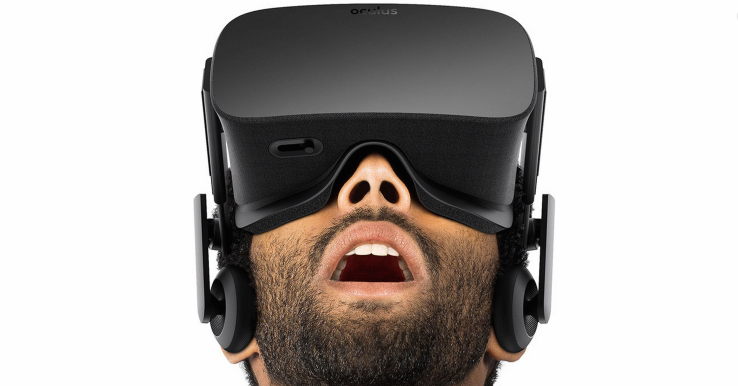 Some VR systems, such as the Oculus Rift, has built-in headphones and 3D audio. You can manipulate this audio to reproduce most forms of hearing impairment – taking out frequencies, single ear hearing and so on. 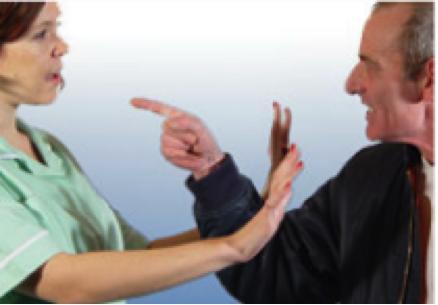 Ideal for carers and other professionals when understanding these disabilities. As VR really does deliver 3D stereoscopic vision, it can deliver a full range of visual disabilities, such as; Macular degeneration, Diabetic retinopathy, Glaucoma, Retinitis pigmentosis and Cataracts. You can experience what it is like to be a patient with these problems, in one eye or both. All of this can be simulated in software. There are even possibilities on improving eyesight. 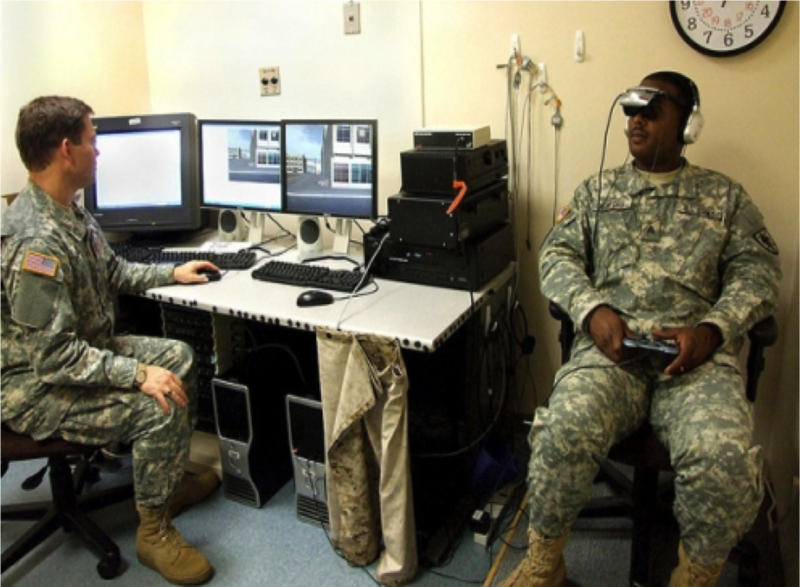 Military medical training in the field has been using the Oculus Rift to simulate the environment and triage processes of battlefield medical care. With a fully immersive environment, the full world of 3D visuals and 3D sound can be used to create realistic environments. I designed and built a software simulator for conflict resolution in hospitals, using video branching. This is a still from this programme. 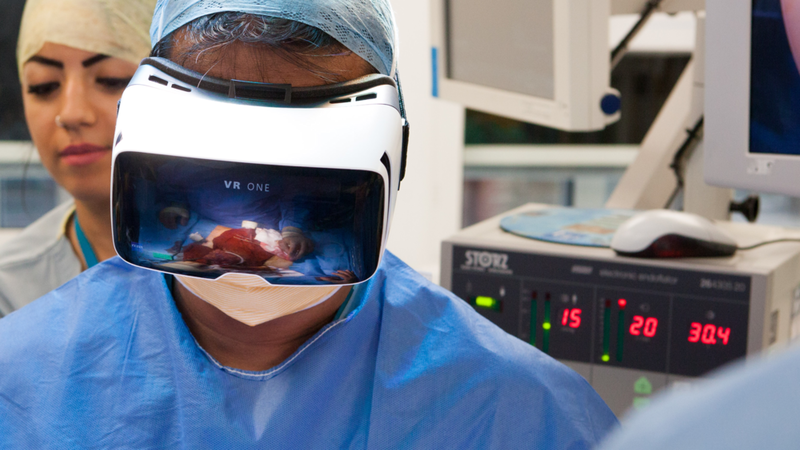 VR offers much more realism and sophistication, where incidents, such as drunks at A&E, difficult patients, difficult visitors and so on, can be dealt with through realistic scenarios, ion multiplayer environments. 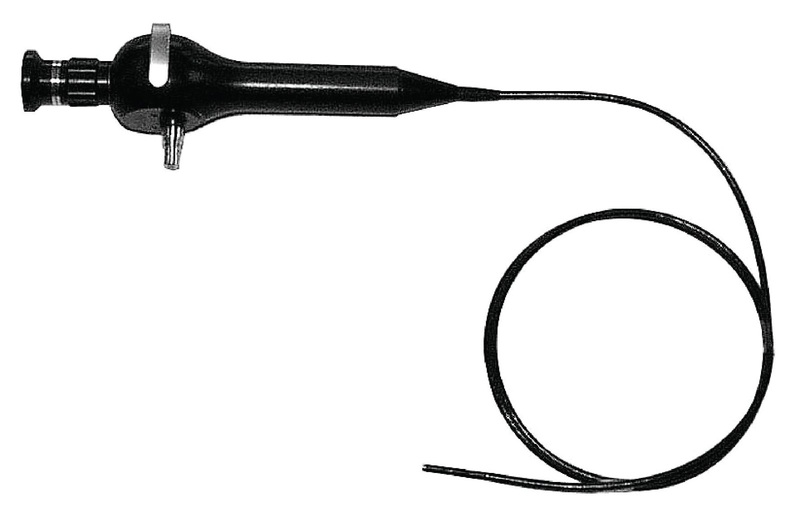 Training on the use of physical medical equipment, such as endoscopes, scanning equipment and any other forms of handheld, medium or large-scale equipment. As the training can include patient avatars and haptic gloves will be available, this type of training will become cheap and scalable. 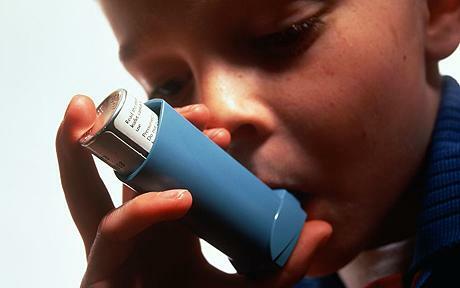 It may seem simple, but GPs often miss vital steps when training patients to use inhalers, rendering the treatment useless. Patients with inhalers or self-monitoring equipment can receive consistent and detailed training on the processes, freeing up the time of nurses and doctors. 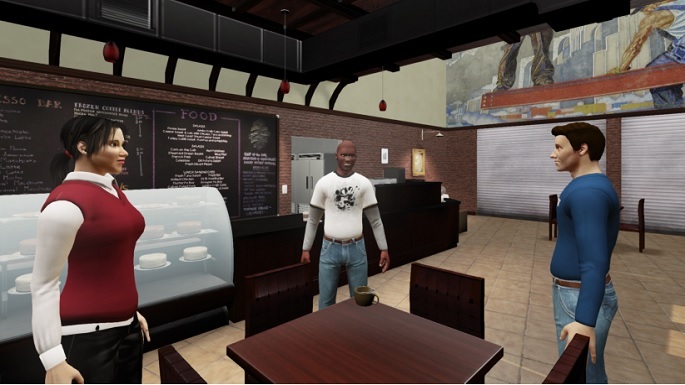 Job aids, VRJA (Virtual Reality Job Aids), where your job is enhanced through the use of VR. 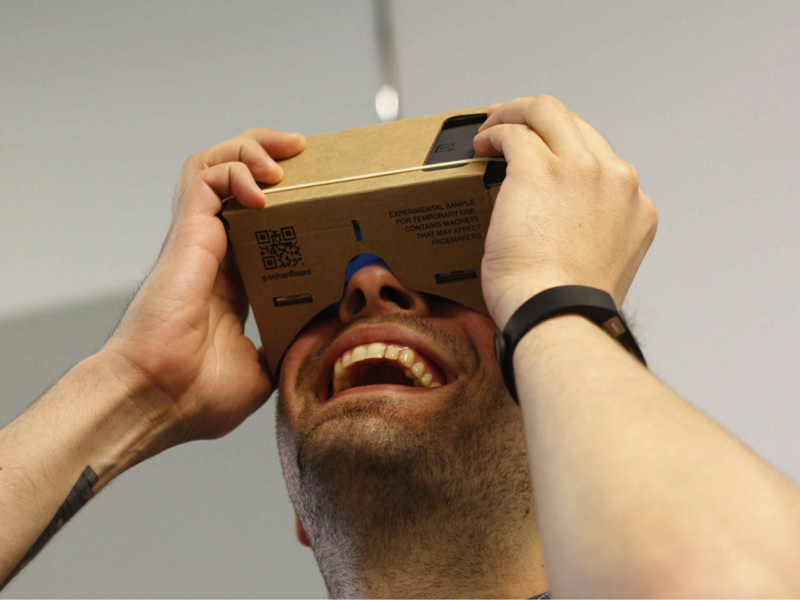 With the addition of handheld devices, you can do real things at a distance with VR. Facebook bought Oculus Rift for $2.3 billion, not so that there customers could play games (they are not a games company) but to take social media into 3d environments. We can see how telemedicine can come of age with this technology. Telemedicine with presentation, investigation, diagnosis and treatment, at a distance, is now made easier by Virtual Reality. VR presence literally means that you feel as though you really are in another place with another person, will allow patient ‘presenting’ and encounters that go beyond flat video, especially when haptic (feel) features emerge. Quick medical advice could be given at a distance without flying scarce and expensive medical experts to disaster zones, where it may be impossible to get to anyway. Virtual surgery has been performed since 2009 and sophisticated telesurgery is possible, even by satellite on the da Vinci system. VR opens up new and perhaps cheaper opportunities for this type of telemedicine. 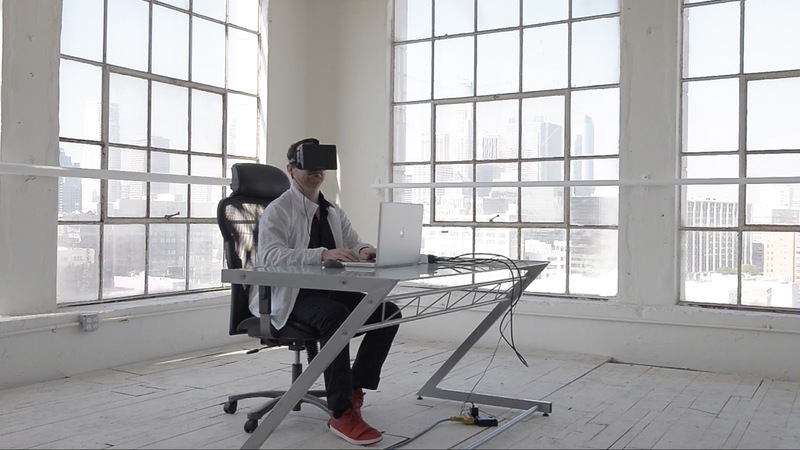 The physical ergonomic design of healthcare apparatus, as well as its use can be simulated in VR. The automotive industry is already using VR for car design, so healthcare apparatus is a likely candidate. Hospitals, health centres and buildings in general now need to be designed with various types of impairment in mind. VR is already being used in the design of buildings, using models before the building is built. This can now include walk-troughs with simulated disabilities. There’s the usual advantages of simulations with VR but it goes a lot further, with 3D stereoscopic vision and 3D audio. We live in a 3D world, our bodies are 3D and our perceptions are 3D, so there’s ever reason to suppose that training, therapy and real world uses are possible and likely healthcare. In addition, we have a unique combination of presence, really feeling and believing that you are in an alternative place, alongside the emotional impact, ability to move around within spaces, perform tasks, do things at a distance and the simulation of touch and feel (haptics), that will bring on a new age of therapies (VRT), medical education (VRE) and job aids (VRJA). If you would like to do a project in any of the above areas, please contact me, as we have a wealth of experience in VR applications.